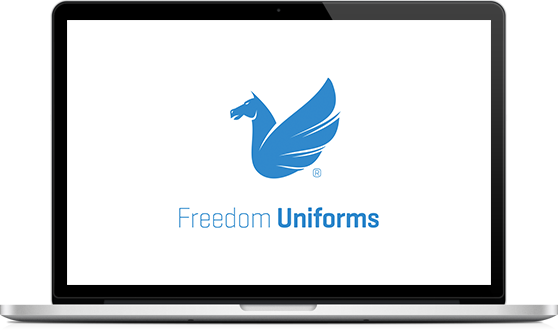 Freedom Uniforms provides comfortable and high-quality uniforms and workwear. 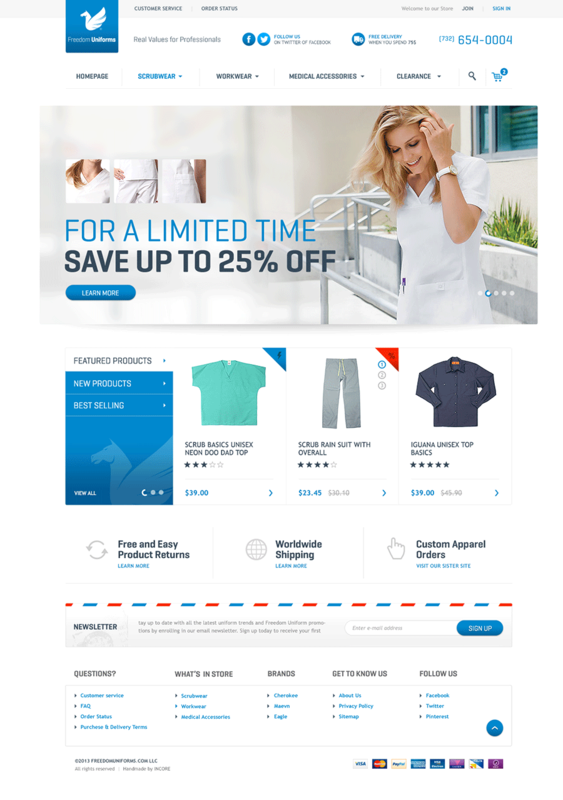 Founded in 2012 and located in New Jersey, the company focuses mainly on medical apparel and work clothing but partners with UniPro Uniforms to also serve the police, EMT, military, and security personnel. 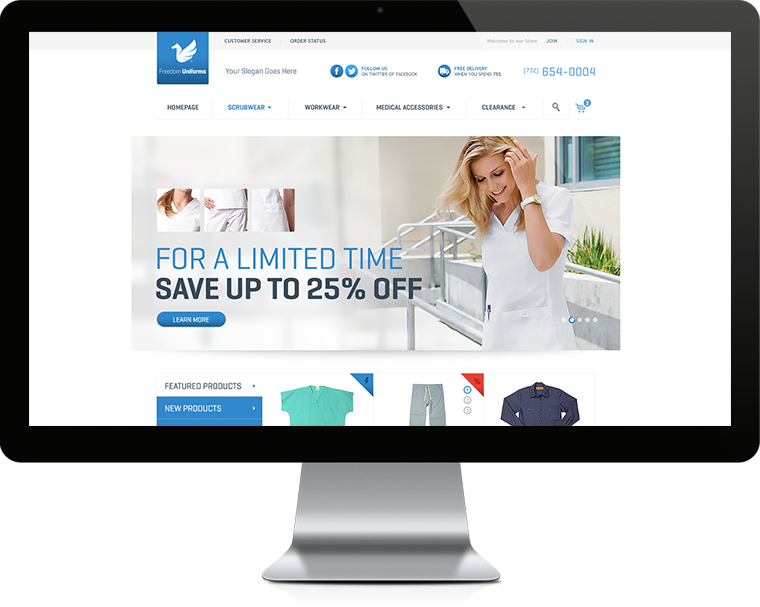 With years of experience, Freedom Uniforms offers expertise, affordability and customization. The company welcomes customers’ product ideas and provides fittings at their companies to meet various needs. 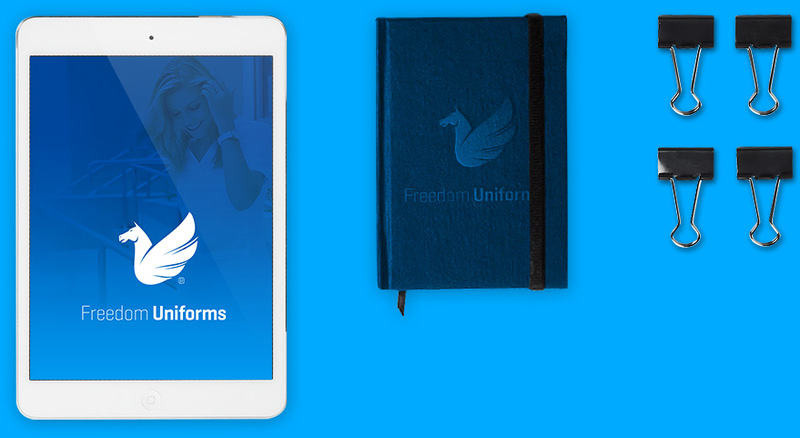 Freedom Uniforms expands its horizons by continually adding manufacturers and welcoming new employees and designers. 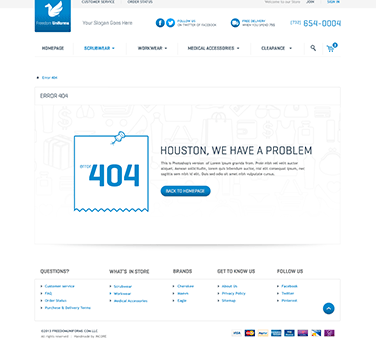 The company guarantees excellent customer service, superior products, and efficient shipping. INCORE created Freedom Warehouse’s visual identity and introduced it to the digital world, thus opening a new channel to success. 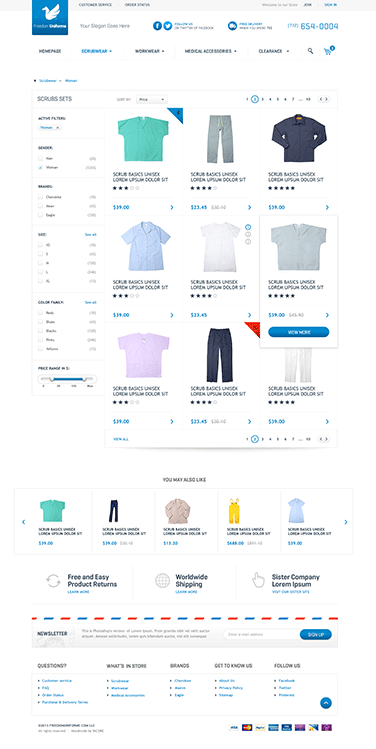 The goal was to provide the visitors with a picture of comfortable and customizable uniforms and workwear. 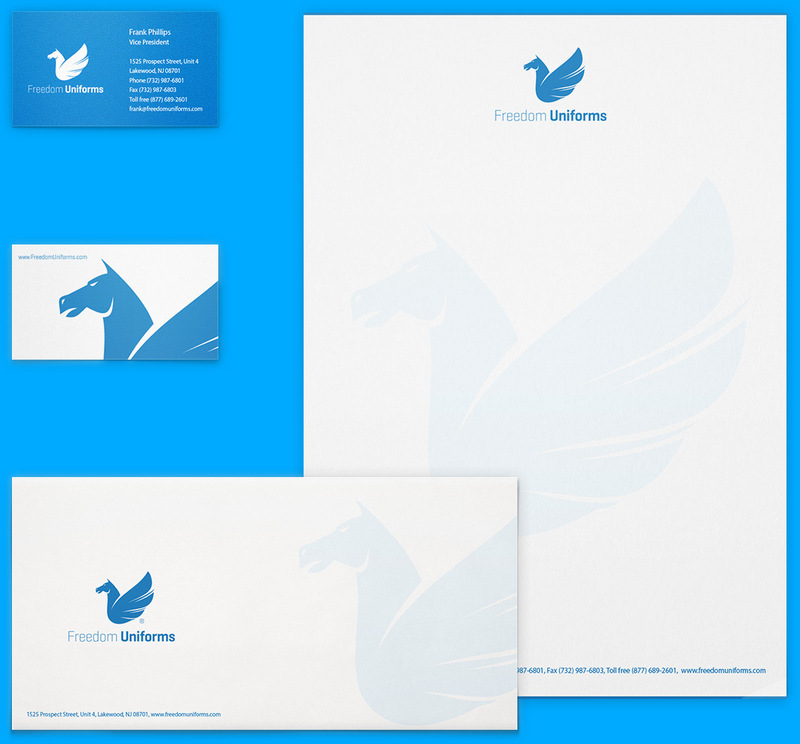 We wanted people to know that their ideas matter and to imagine how simplified and enhanced their work experience will be thanks to Freedom Warehouse’s products.